The smart grid is actually a futuristic collection of technologies that manage electricity distribution. Ultimately, they are "smarter" (more efficient) at generating, distributing, and using electricity than the current industry standards. Some people are getting excited about smart grids because cutting back on electricity usage is cutting back on fossil fuel consumption which is cutting back on human-driven causes of global climate change. (Are you still with me or did I lose you there?) Other people are looking forward to smart grids because they should decrease the number of brown- and blackouts experienced in the country, which improves the region's health and economy. Still more people are pumped for the smart grid because it could mean lower electricity bills for their homes. 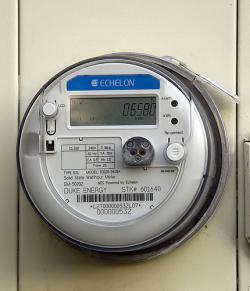 When will the smart grid reach your hometown? That depends. Some cities already have smart grid technology, but regional adoption is set to take place on a rolling basis during the next five years and is largely dependent on whether the American people get on board. 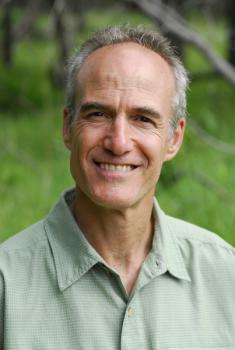 Scientific American: How Will the Smart Grid Handle Heat Waves? 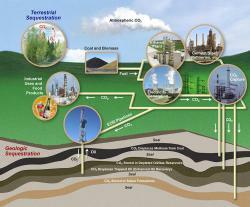 "Pretty well, once the technology to automatically respond to peak demand and store renewable energy matures." Smart grid test cites in Harrisburg, PA, Richland, WA, and Boulder, CO have their work cut out for them this week as people across the nation crank down the A/C to battle the heat wave covering most of the continental United States. According to the Scientific American article, a regional smart grid should have the potential to excel under stressful heat wave conditions. In the meantime, utility companies and academics are working toward developing a method to better store electricity when supply exceeds demand thus creating a stockpile of electricity for times of scarcity. Check out SmartGrid.gov for all things smart and grid-y. Or, if you're looking for something more technical, the Department of Energy's other smart grid website. If you're looking for a more interactive learning experience, check out General Electric's smart grid webpage complete with narrated animations. Of course, if you're looking to hear from academics or industry experts themselves, the Initiative for Renewable Energy and the Environment in conjunction with the University of Minnesota's Institute on the Environment and St. Anthony Falls Laboratory, are hosting Midwest's Premier Energy, Economic, and Environmental Conference, E3 2010, at the St. Paul River Center (right across Kellogg Blvd from the Science Museum) Tuesday, November 30. How much more controversial can a story get? This news item combines global climate change with the age-old controversies involving science vs. religion. I supposed some international conglomerate could be killing endangered species in the area. 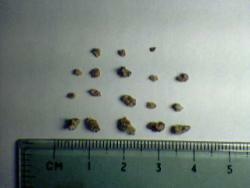 Getting stoned: Here's an array of shapes and sizes of kidney stones. Researchers say global warming will lead to an increase in the production of the little buggers in our bodies.Courtesy Trevor BlakeIt’s going after polar bears and ice sheets. It’s threatening glaciers and coastal cities. Now, global warming has is setting it’s evil intentions against your kidneys. That’s the conclusion a group of scientists announced yesterday. Increases in global temperatures could lead to an increase in kidney stones. Having had more than my share of bouts with those pesky stones, that alone is scaring me straight to reduce my carbon footprint and do my part to reduce global climate change. A kidney stone forms from salts that crystallize inside the kidney. That process speeds up when bodies become dehydrated. As the stones grow and move through the urinary tract, they can cause enormous (and I mean enormous) pain until it passes out through urination. The bigger the stone gets, the greater the discomfort. About 12 percent of men and seven percent of women in the U.S. will experience a bout of kidney stones in their life. What the scientists announced this week is that warm states in the southeastern U.S. have a 50 percent higher rate of kidney stone cases than in the northeast. Warm weather and dehydration are two factors that can accelerate kidney stone production, the researchers said. They’re seeing an unusually high rate of kidney stones among soldiers serving in the heat of Iraq. So what do you think? Is there a connection between hot weather and kidney stones? Do you have a great kidney stone story to share? Ever see the Seinfeld episode where Kramer passes a kidney stone at the circus? Share your thoughts about kidney stones and/or global warming here with other Buzzers. 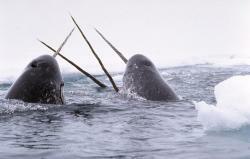 Tusk, tusk: A pair of narwhals surface in the Arctic waters. A new study says that the sea creatures are the most at risk to changes from global warmingCourtesy Glenn WilliamsIs there a more overlooked creature of the animal kingdom than the narwhal? Granted, it lives in the frosty waters of the Arctic Ocean and has a twisted, mean-looking tusk, but why don’t we give the narwhal more love? Global climate change researchers are taking note of the odd sea beast. They’ve categorized the narwhal as being the sea creature most at risk from global warming changes. The pronouncement was made following in-depth analysis of how potential environmental problems that could affect the 11 marine animals that live year-round in the Artic region. Polar bears, which have been generally considered the most “at-risk” animals from global warming, came in second place in the rankings. 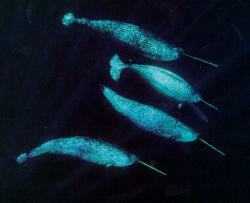 Right now there are actually a lot more narwhals in the Arctic region (50,000 to 80,000) than polar bears (20,000). But researchers feel the overall impacts of global warming could have a quicker, more devastating impact on narwhals. What’s the difference? Adaptability. Polar bears are able to gather food either by swimming or roaming land. As ice sheets diminish, they can forage for food on land. Narwhals, on the other hand, are highly specialized creatures. A main feeding practice is diving to depths of 6,000 feet to feed on halibut. They live in areas with 99-percent ice cover. If that ice area diminishes, predators like orcas and polar bears will have easier access to getting to narwhals. And warming waters could send the narwhal’s favorite food of halibut to non-icy areas as well. Following narwhals and polar bears as the most at-risk Arctic animals were the hooded seal, bowhead whale and walrus. Least at-risk are ringed seals and bearded seals according to the study. • They don’t use their tusks for hunting. Males do have “duels” with each other using the tusks to establish dominance. 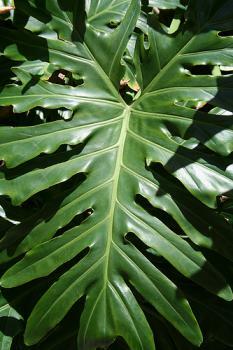 Male tusks can grow up to be 10 feet long. Females grow a much smaller tusk. The tusks are also twisted in a corkscrew fashion. • An adult narwhal can measure to around 25 feet in length. Males can weigh up to 3,500 pounds while females are about 2,200 pounds. • The animals also exclusively hunt under thick ice sheets. • Inuit legends has it that the narwhal was created when a woman holding onto a harpoon had been pulled into the ocean and twisted around the harpoon. The submerged woman was wrapped around a beluga whale on the other end of the harpoon, and that is how the narwhal was created. A matter of immense gravity: After receiving his Nobel Peace Prize this past December, Al Gore has turned his attention to raising awareness about the global gravity loss problem.Courtesy Kjetil BjørnsrudI think this got lost in all the hoopla about the NCAA basketball tournament, but Al Gore was on 60 Minutes last Sunday to unveil his latest crusade, one that could be more devastating to life on Earth than the global climate change crisis he’s been raising awareness of in recent years. The former vice president used the highly-rated TV show to be the inaugural event of his effort to raise public awareness of the growing gravity crisis on the planet. Three independent studies conducted in the U.S., Great Britain and South Africa have confirmed a strange but deep side effect to global warming. Increased temperatures on Earth are diminishing its gravitational fields. Projections foresee that at the current pace, Earth could have 25 percent less gravity in the next 10 years. The new studies confirm that increases in carbon dioxide levels in the atmosphere are causing chemical reaction with heavy metals in the top layer of Earth’s crust that are shielding gravity’s pull from deeper in Earth’s core. And the real scary fact is that these chemical reactions are progressing at a geometric rate. While they’re still negligible today, each year they increase by a factor of 10. If the current pace continues over the next 50 years, researchers calculate that gravity will become extinct, just like many forms of animal and plant life of the past. 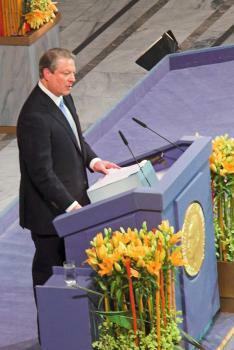 Along with his continued efforts to reduce the growing carbon dioxide emissions that are contributing to global warming, Gore is offering some other gravity loss solutions. “If everyone digs five or six 12-foot deep holes in their backyard, we might be able to create easier paths for gravity to get back to Earth’s surface and counteract the impacts of these devastating chemical reactions,” he said. Click here to learn other things you can do to stop global gravity loss. Other significant problems that could arise if global gravity loss is not reversed, Gore added. They include prolonged autumns due to a slower release of leaves from trees, decreased income for the sky-diving and bungee-jumping businesses and a rapid increase in world records for sporting events involving jumping, leaping or throwing. Ice capade: Aerial views of the ice sheet breaking at the Wilkins Ice Sheet in Antarctica show the massive amount of ice that's come free in the past month.Courtesy National Snow and Ice Data Center/NASASo we’ve been grumbling the past few days about the latest round of snow and ice that’s descended upon us in the early days of spring. At least we’re a long way from Antarctica. The National Snow and Ice Center today reported, and released photos, of a huge ice sheet collapse from the cold continent. About 160-square miles of ice have broken free from the Wilkins ice sheet since Feb. 28 in some major league size pieces. While the Wilkins ice sheet is about the size of Connecticut, one large portion of broken ice sheet is seven times larger than the Manhattan district of New York City. 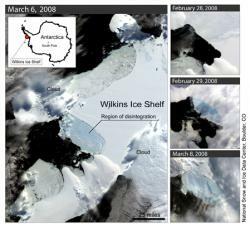 While that’s a big chuck of ice to break free, larger ice collapses have happened two other times since scientists have been monitoring the site: in 1995 and 2002. Yet, the experts are saying that this latest ice break is another sign of global climate change. Other portions of the ice shelf are hanging on by thin margins and one expert predicts that the entire shelf could be gone in 15 years. Cracks in the thin ice fill with water, which accelerates the melting, and leads to more major ice breaks. Here's a link to some great video of the fragile ice sheet area from National Geographic.